All the Physiotherapists at the Epsom Physiotherapy and Sports Injury Clinic are Chartered Physiotherapists, registered with the C.S.P. (Chartered Society of Physiotherapy) and registered with the H.P.C. (Health Professions Council). With many years of experience, including regular post-graduate specialist training to further our knowledge and expertise, we are all well qualified to treat your condition. John Fitzpatrick graduated from the North London School of Physiotherapy in 1984. He has practiced in major London Hospitals including University College Hospital, The Middlesex Hospital and Epsom and St. Helier NHS Trust. In 1998 he gained a post-graduate diploma in Academic and Practical Sports Physiotherapy and is the in-house physiotherapist for Laine Theatre Arts dance and performing arts college. 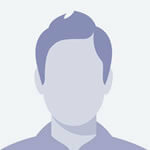 John is a member of Dance UK and is registered to treat dancers from all over the UK. John is qualified in Western Acupuncture for pain relief and in joint and spinal mobilisation and manipulation as well as the treatment of all sports and dance injuries using a variety of treatments including massage and soft tissue techniques, electrotherapy as well as taping and strapping..
Sonja Fitzpatrick graduated from King’s College Hospital School of Physiotherapy in 1987. She has practiced in major London Hospitals including The Royal London, Charing Cross, Atkinson Morley’s, St. George’s, The Royal National Orthopaedic Hospital and Epsom and St. Helier NHS Trust. Sonja is also a qualified Mat and Studio Equipment Pilates Instructor as well as a Riding Instructor. Sonja is qualified in joint and spinal mobilisation and manipulation as well as the treatment of all sports and dance injuries and treats a large number of Irish dancers and horse riders using a variety of treatments including massage and soft tissue techniques, electrotherapy as well as taping and strapping. She has a special interest in the treatment of scoliosis, shoulder instability and pelvic dysfunction during and after pregnancy having suffered from this condition herself. Sonja is a keen horse rider having competed in dressage, show jumping and eventing and currently competes her 6 year old horse in dressage competitions at elementary level and is working towards advanced medium at home. She also holds Equestrian Pilates Clinics at Wildwoods Riding Centre on the dressage simulator and on horse back. Chris Keevil graduated from Bath University in 1994 and also has a post graduate PGCert in sports medicine. He has practiced in major NHS teaching Hospitals and in Fort Wayne, Indiana, USA. Chris is qualified in Western Acupuncture for pain relief and joint and spinal mobilisation and manipulation as well as the treatment of all sports injuries using a variety of treatments including massage and soft tissue techniques, electrotherapy taping and strapping.. He has qualifications in Graston technique and S.A.Q. He is also a keen golfer and is qualified in golf swing video analysis, assessment and improvement of golf swing. Chris has played hockey to a high level and is a part time hockey coach. He is also the in-house physiotherapist for Epsom College independent boarding school where he is able to offer convenient appointment times to staff an pupils rehabilitating them back to their sport. Sue Fernihough graduated from Birmingham University in 1995. She practiced in leading NHS teaching Hospitals before working at DMRC Headly Court, the top Military Rehabilitation Centre. 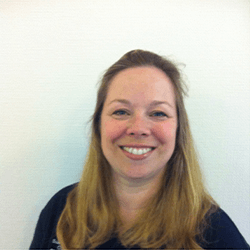 Sue has a keen interest in rugby and has worked at Sutton and Epsom Rugby Club for 12 years both in pitch side first aid and the rehabilitation of rugby injuries in the players. Sue is qualified in joint and spinal mobilisation and manipulation as well as the treatment of all sports injuries and treats a large number of rugby players using a variety of treatments including massage and soft tissue techniques, electrotherapy as well as taping and strapping. 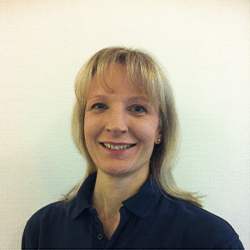 Sue is experienced in treating pelvic dysfunction during and after pregnancy and having suffered from this condition herself she has a special interest in its treatment and has the utmost sympathy for any patient suffering with this painful and debilitation problem.